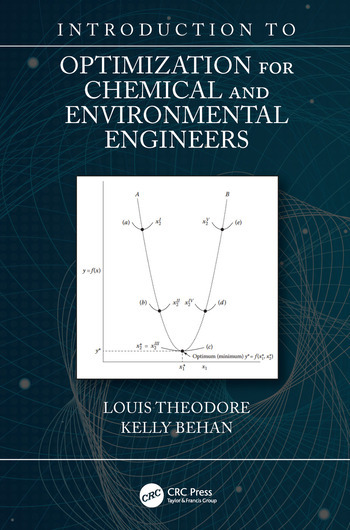 "The authors—a chemical engineer and a civil engineer—have complimented each other in delivering an introductory text on optimization for engineers of all disciplines. It covers a host of topics not normally addressed by other texts. Although introductory in nature, it is a book that will prove invaluable to me and my staff, and belongs on the shelves of practicing environmental and chemical engineers. The illustrative examples are outstanding and make this a unique and special book." "The authors have adeptly argued that basic science courses—particularly those concerned with mathematics—should be taught to engineers by engineers. Also, books adopted for use in such courses should also be written by engineers. The readers of this book will acquire an understanding and appreciation of the numerous mathematical methods that are routinely employed by practicing engineers. Furthermore, this introductory text on optimization attempts to address a void that exists in college engineering curricula. I recommend this book without reservation; it is a library ‘must’ for engineers of all disciplines." Introduction to Optimization for Chemical and Environmental Engineers presents the introductory fundamentals of several optimization methods with accompanying practical engineering applications. 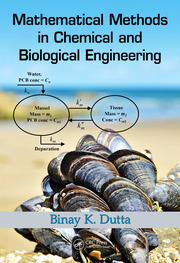 It examines mathematical optimization calculations common to both environmental and chemical engineering professionals, with a primary focus on perturbation techniques, search methods, graphical analysis, analytical methods, linear programming, and more. 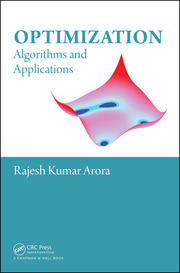 The book presents numerous illustrative examples laid out in such a way as to develop the reader’s technical understanding of optimization, with progressively difficult examples located at the end of each chapter. This book serves as a training tool for students and industry professionals alike. Examines optimization concepts and methods used by environmental and chemical engineering practitioners. Presents solutions to real-world scenarios/problems at the end of each chapter. Offers a pragmatic approach to the application of mathematical tools to assist the reader in grasping the role of optimization in engineering problem-solving situations. Serves as a text for introductory courses, or as a training tool forindustry professionals. 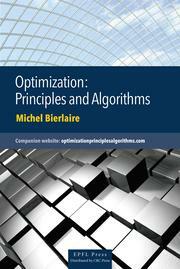 Optimization Fundamentals and Principles. Optimization Overview. Mathematical Operations. Perturbation Techniques. Search Methods. Analytical Approaches. Graphical Approaches. Linear Programming (LP). Environmental Engineering Applications. Air Management. Water Management. Solid Waste Management. Health Risk Assessment. Hazard Risk Assessment. Chemical Engineering Applications. Fluid Flow. Chemical Reactors. Mass Transfer. Heat Transfer. Plant Design. Select Industrial Applications. Select Environmental Engineering Applications. Select Chemical Engineering Applications. Appendix. Index. Over the past 50 years, Dr. Louis Theodore was a successful educator at Manhattan College (holding the rank of full professor of chemical engineering), graduate program director, researcher, professional innovator, and communicator in the engineering field. During this period, he was primarily responsible for his program achieving a no. 2 ranking by US News & World Report. He has authored nearly 100 text/reference books and over 100 technical papers. He currently serves as a part-time consultant to the US EPA and runs Theodore Tutorials. He is a member of Phi Lambda Upsilon, Sigma Xi, Tau Beta Pi, American Chemical Society, American Society of Engineering Education, Royal Hellenic Society, and a fellow of the International Air & Waste Management Association. Dr. Theodore is the recipient of the AWMA’s prestigious Ripperton award that is "presented to an outstanding educator, who, through example, dedication, and innovation has so inspired students to achieve excellence in their professional endeavors." He was also the recipient of the ASEE’s AT&T Foundation award for "excellence in the instruction of engineering students."